Savvy travelers know that you can travel for less, and sometimes significantly less, during the shoulder season, the months between high seasons. There usually are two shoulder seasons for a travel destination, In the United States, for example, high seasons are in the summer, when kids are out of school, and in the winter, when travelers flock to white-sand beaches or white-snow ski slopes. Shoulder seasons are in the fall, when the kids are back in school, or in the spring, when the weather can be rainy and chilly. Because fewer people travel during these times, there are benefits for those who can. 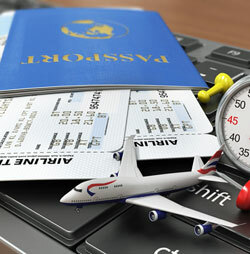 Travel is much more affordable, because the competition for flights and hotels is significantly less. Also, there are fewer crowds, so the experience overall can be more relaxing and less hassled. March: Hawaii, through May. Rio de Janeiro, especially early in the month. Ireland, from mid-March through April. April: The North American Rockies and the European Alps. The Australian Outback, from early April through May. European cities, starting in mid-April. The Caribbean and Mexico’s Riviera Maya, from mid-April through early June. May: Japan, especially early in the month. Mediterranean cruises, from mid-month. The Great Barrier Reef, Australia, from mid-May through August. June: Thailand and Baja California, both starting early in the month. October: Mediterranean resorts, early in the month. Vancouver Island, Canada, from mid-month through November. November: Tahiti, Fiji and the South Pacific, early in the month. The Caribbean and Mexico’s Riviera Maya, from mid-month until the holidays. December: North American Rockies, European Alps and Costa Rica, from early in the month through mid-December.